Apple has made iOS 12 available to those registered – and those who want to register – with the Apple Beta Software Program. That availability means even if you are not a registered developer, you can now officially get iOS 12 on your compatible iPhone or iPad and take full advantage of the slickness of the platform. Before you follow the steps through below, we strongly recommend that you do not install this on your main device. After all, it is pre-release firmware and will definitely have niggles and issues which you may not be able to live with on a daily basis. If you’re happy to proceed on that basis, then follow the steps below. Step 1: The device in question needs to be running the latest public version of the iOS platform. If your iPhone isn’t running the latest public version, then make sure it’s updated, right now! 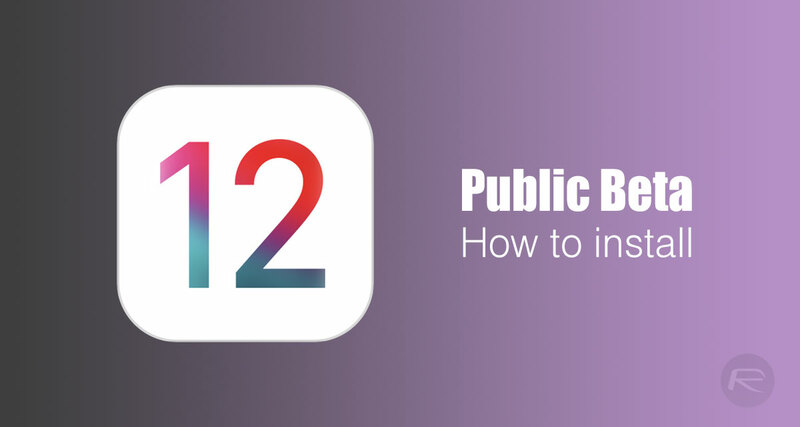 At the time of writing this guide, iOS 11.4 is the latest public version of iOS available. Step 2: In order to get your hands on the beta software, you need to be registered with Apple. Head on over to the official Apple Beta Software Program and get yourself registered: beta.apple.com/sp/betaprogram. Step 3: If you have already signed up for this particular Apple program, then sign into the website with your previously provided Apple ID credentials. 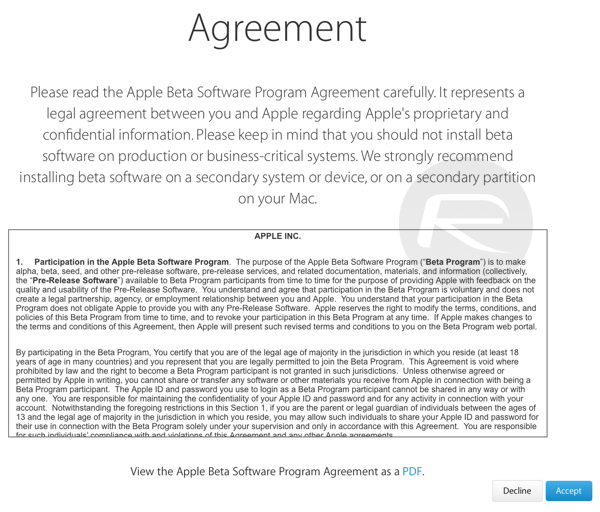 Step 4: You will also be presented with Apple’s terms and conditions which govern the Beta Software Program. Scroll through all of the text and select the Accept button to continue. 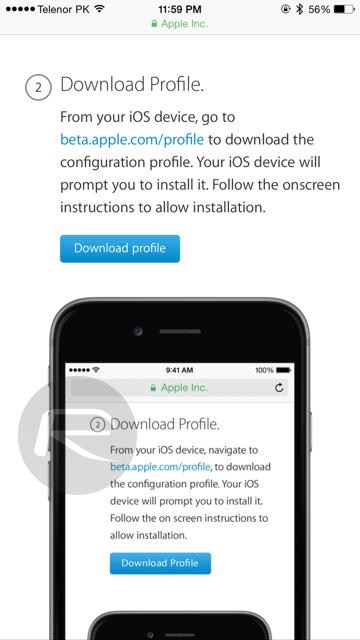 Step 5: You will then need to install configuration profile for public betas on your device. To do this, navigate to beta.apple.com/profile on the device itself. If you’re prompted, then sign-in with the relevant details and then install the relevant profile to the device using the Download Profile button. Step 6: Walk through the installation process, which is fairly self-explanatory. 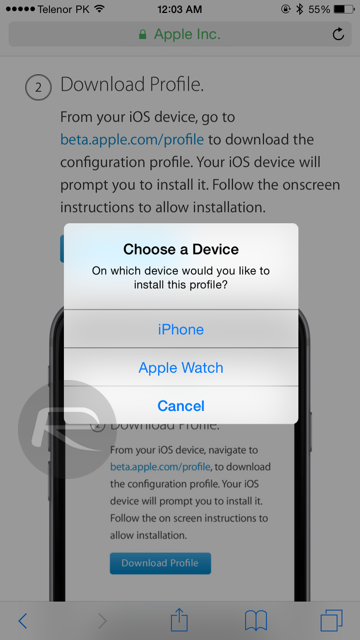 Be aware that if you have an Apple Watch connected then you may be asked which device you want to install the profile to. Select iPhone. Step 7: Once installed, and when prompted, select Restart to reboot the device. When the iPhone or iPad has come back to life, launch the Settings app and navigate to General > Software Update and wait for OTA update to pop-up for iOS 12 public beta 2. Public beta 2 is same as beta 3 released to developers last week. Simply download and install this over-the-air as you normally would. Once the device reboots, you will have full access to iOS 12. If you have the iOS 14.1 beta profile you have to delete it first.